The title of this lecture is “Portraits of Jesus.” It’s clear, if you look at the sequence of talks, that my task is also to cover the public life of Jesus. Dom Crossan talked about the birth narratives earlier and will talk about the death and Easter narratives in the last lecture. I get to do the in-between. Of course the in-between is enormous. It’s all the public activity of Jesus as an adult. It’s the whole question of what his message and his mission were about. I will begin by talking about two widespread portraits of Jesus, the first one popular and the second one scholarly. 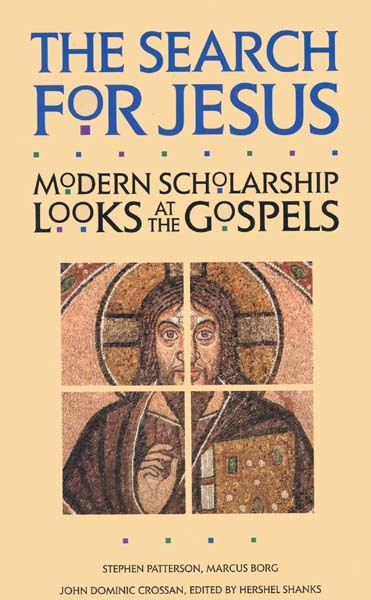 Second, I will describe six contemporary scholarly portraits of Jesus, all done by North American scholars in the past decade. And third and finally, I will talk briefly about where I think we are in the discipline, elements about which there is some consensus and elements about which there continue to be division and uncertainty. I begin by describing two widespread images or portraits of Jesus. One is popular, the one that has dominated the Christian imagination throughout most of the Christian centuries. The second is scholarly, namely the one that has dominated much of this century’s scholarship until recently. By the popular image of Jesus, I mean simply the most widespread image. Its answers to the three central questions about Jesus, his identity, his mission and his message, are clear and direct. Who was he according to this popular image? He was the divinely begotten Son of God. His mission or his purpose? His intention was to die for the sins of the world. His message was about many things but primarily about himself—about who he was, what his purpose was and the importance of believing in him.